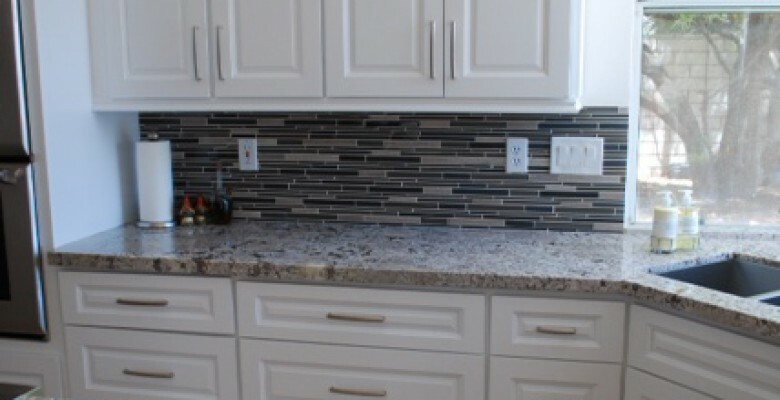 Tips for backsplash installation in Las Vegas | Flamingo Tile Inc. Your kitchen is always a place where people at home get together, and is used every day all day. Adding value to your home can be pricey but it doesn’t have to stop you from remodeling. 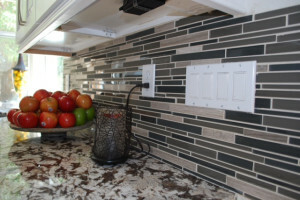 Whether you’re getting ready to install a brand new tile backsplash or just want to update your current backsplash, you’ll first want to explore as many kitchen tile backsplash ideas as possible. Decide how far up the wall the backsplash should extend. Usually, a backsplash extends at least 4 inches up from the countertop and sometimes all the way up to the bottom of the wall cabinets. Choosing a tile backsplash can upgrade the look without breaking your pocket. A simple backsplash between the cabinets and your counter can do the trick. 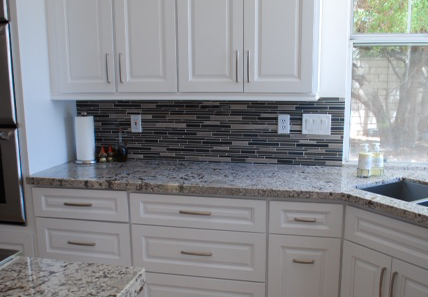 The nice thing about adding a backsplash is that you do not need to remove any furniture when having the tile installation team installs the backsplash. The cleaning is a breeze, just like you would clean the floor tile or wall with soap and water; you would want to upkeep the clean and nice look of your backsplash by doing the same routine. There are tons of colors, sizes, types of backsplash to choose from for your kitchen. Hiring a professional tile contractor like Flamingo Tile, Inc will answer all your needs and put your mind at ease. Flamingo Tile has the background knowledge for over 27 years and is dedicated to make your remodeling or new developing as perfect as you imagined it.